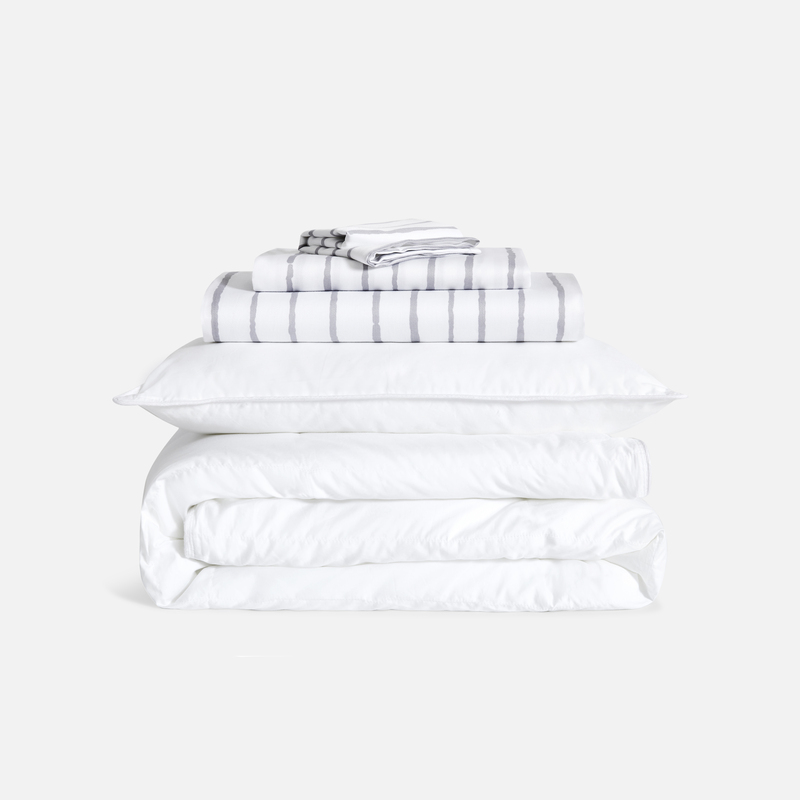 If you’ve ever been in search of the perfect sheets to buy, you might have come across the minimalist bedding brand Brooklinen—the company that has basically made its sheets internet-famous. While the brand is known for extra-soft sateen and linen sheets, duvet covers, and comforters that are sold at a pretty affordable price, they’re getting ready to invade every room of your home (but we’re not complaining!). 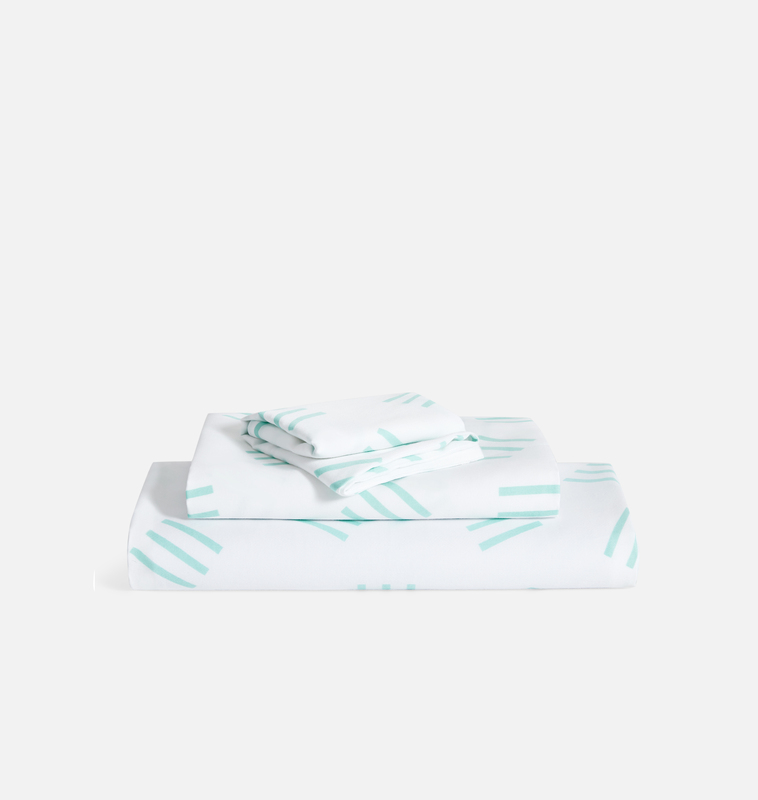 Choose from four different patterns for this sateen sheet set, which includes one crib sheet, one duvet cover, and one pillow. 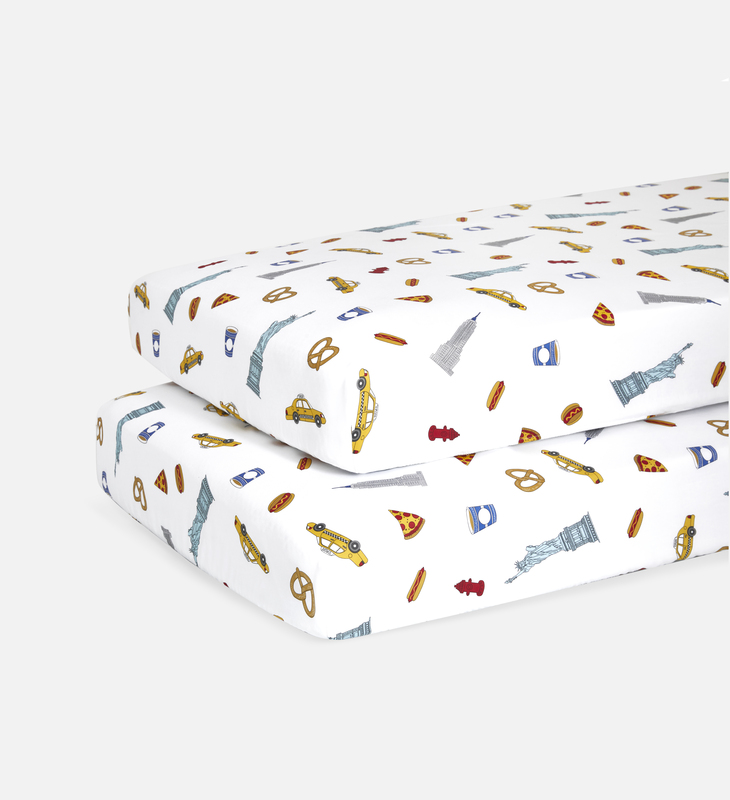 When it’s time to move into a “big-kid bed,” this toddler set has everything you need for your little one: a down pillow and comforter, a duvet cover, one pillowcase, and a fitted sheet. 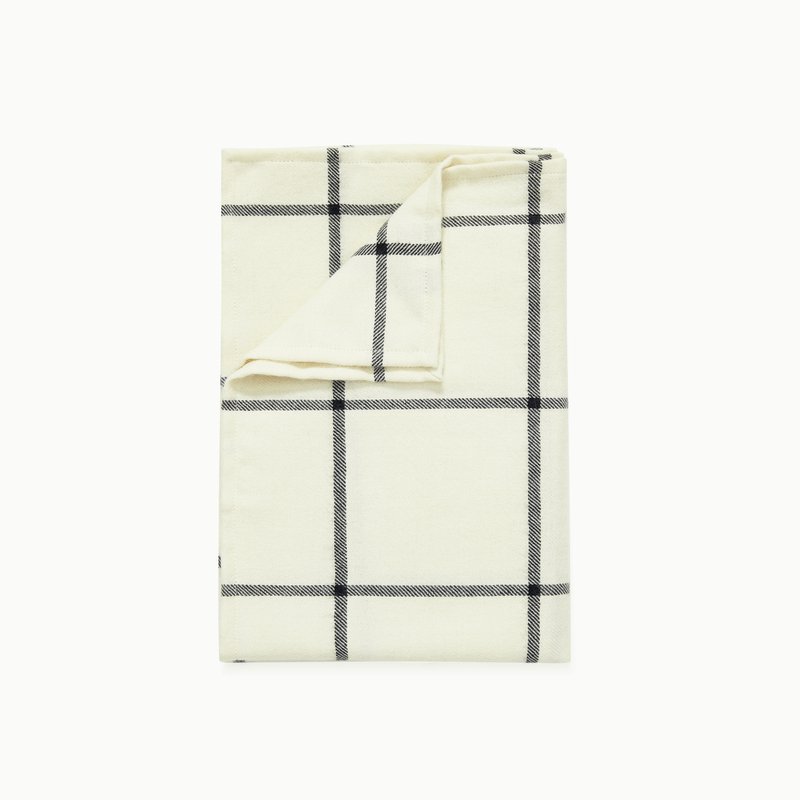 Not only is this baby blanket seven times more softer than cotton, it’s also 100 percent hypoallergenic. 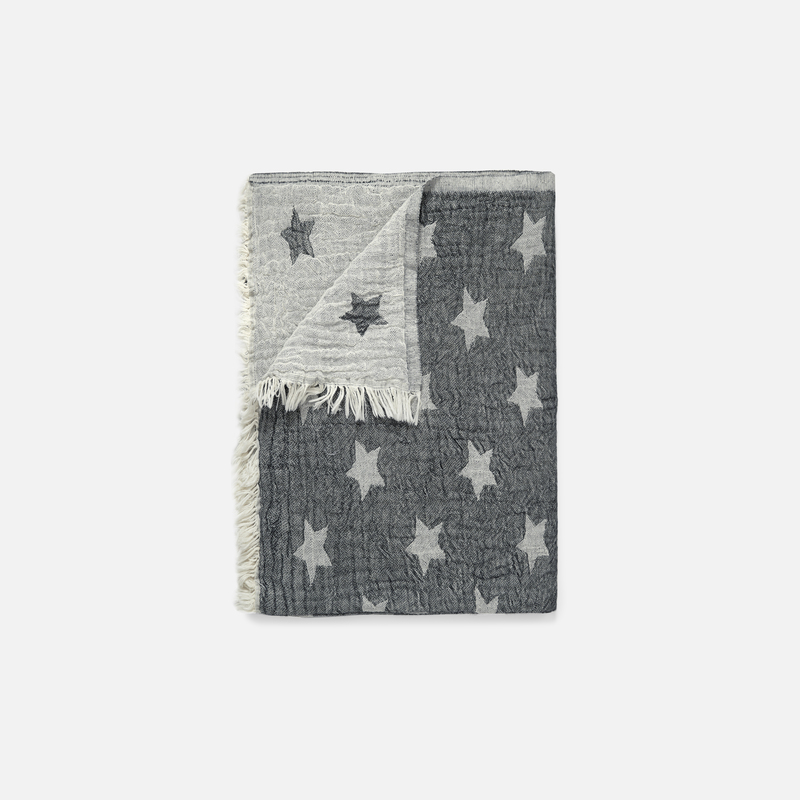 Take this 100 percent cotton baby blanket with you while on-the-go or drape it over the crib for a modern nursery look. 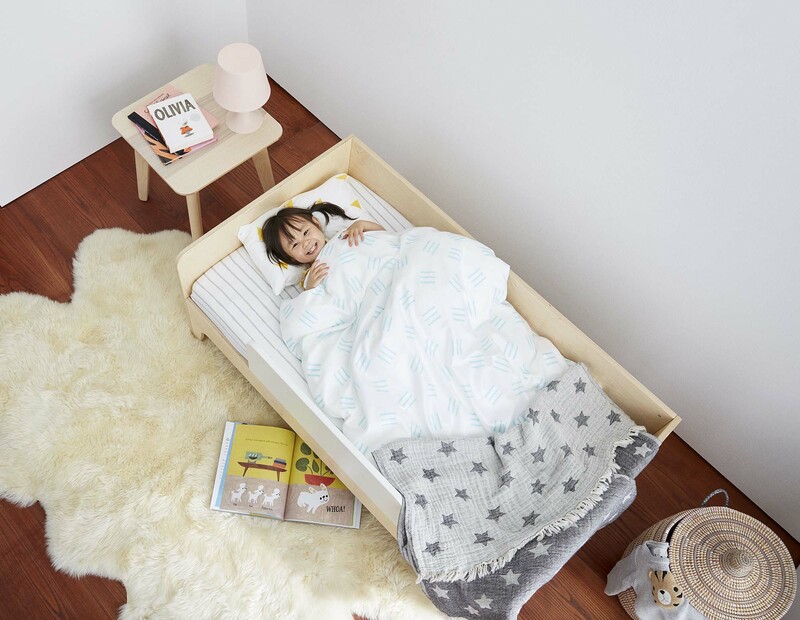 With one quilt, one quilted sham, and one sham insert, this is a great starter set for toddler beds. 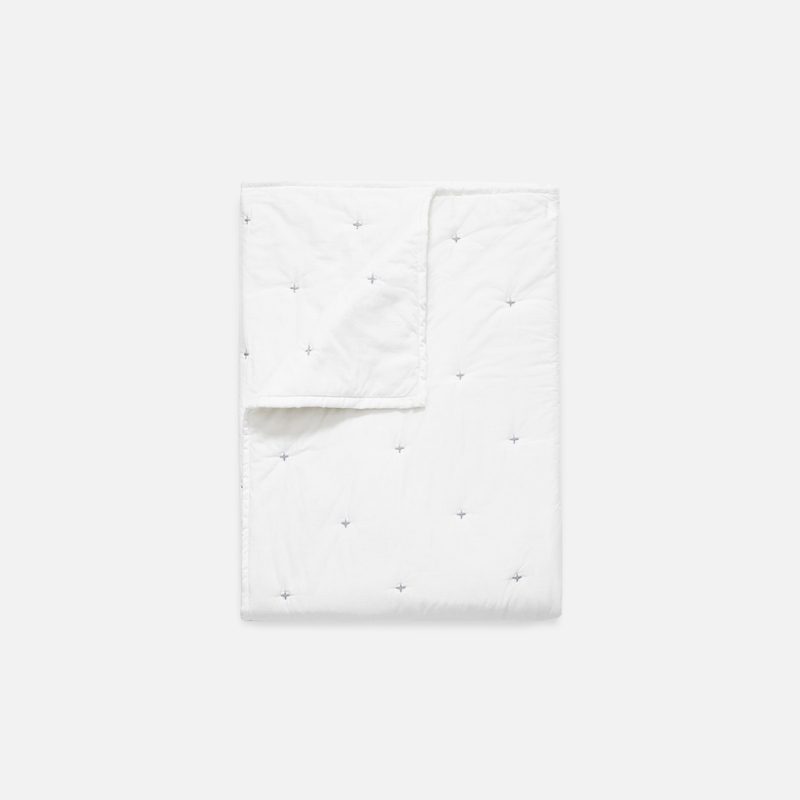 To buy: $88 for quilt only or $128 for quilt + sham; brooklinen.com. 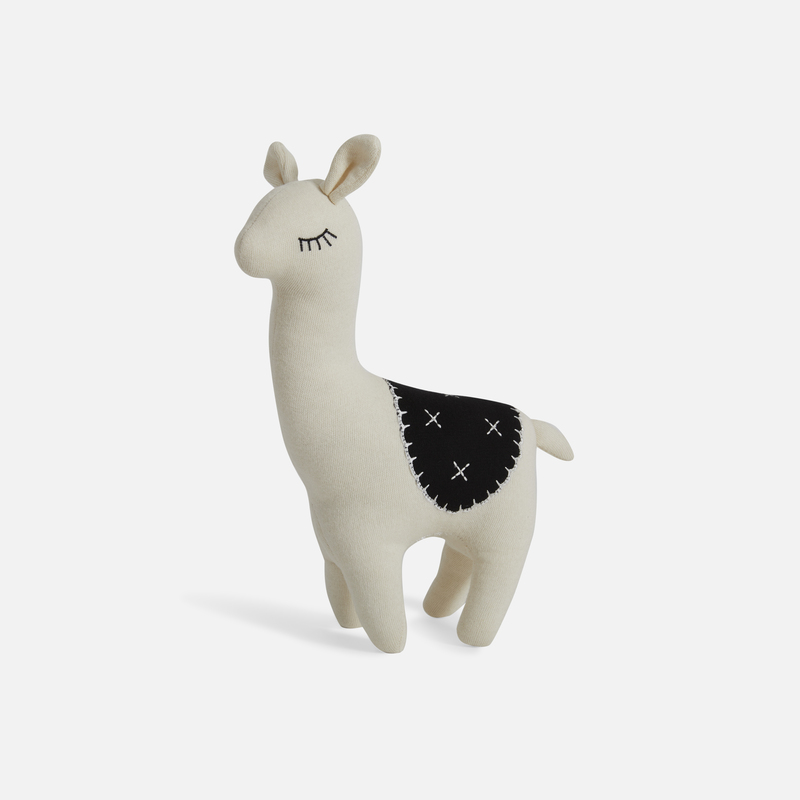 And for the new nursery’s final touch, shop Lulu—the 100 percent cotton knit stuffed animal.